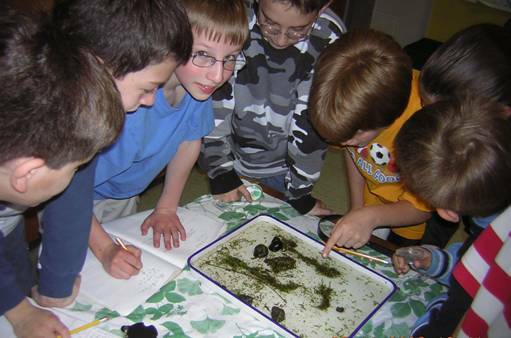 Representatives from the Conservation District are available to make presentations to local organizations and school districts in Susquehanna County including classroom and outdoor presentations such as aquatic ecology, soil studies, wildlife biology, Envirothon preparation, and many other environmental education lessons. The District also offers educational workshops throughout the year. 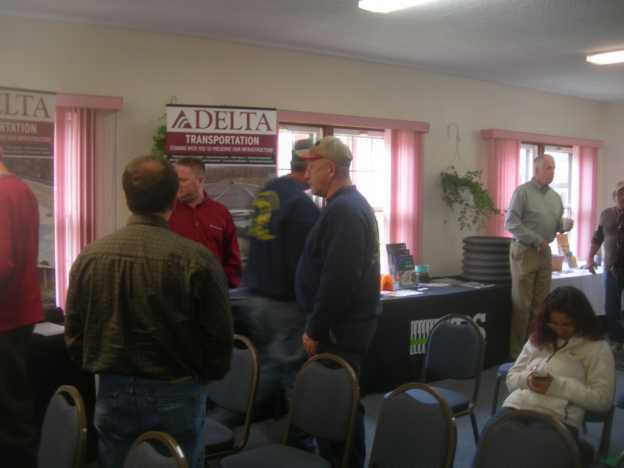 The Conservation District’s Contractor's Workshop, held annually in the Spring, presents information about the regulatory aspects of the District's Erosion and Sediment Program. The following organizations can provide information and resources regarding wildlife and wildlife habitat. Explore these links to learn more about what you can do to become a good steward of our natural resources. Other links are available from our list of Partners. Non-point Source Pollution is water pollution that comes from sources which cannot be easily pinpointed. Some sources are: air pollution, agricultural operations, construction, waste disposal and resource extraction. Individuals can make a difference. Even if you don't live next to a stream your actions can help prevent water pollution. Use Water Wisely: Use dishwashers and washing machines only when they are fully loaded. Use Household Products Properly: Many products around the home can create water pollution if they are not used carefully and disposed of properly. Use the least toxic product possible. Never pour paints or solvents down the drain. Care for Your Lawn: Landscaping with grasses, trees, and shrubs helps prevent water pollution. Plants control soil erosion and use nutrients that could otherwise enter streams. Follow directions when using fertilizers -- more is not always better. Practice Sensible Pest Management: Not all bugs are bad. Some insects help eliminate unwanted pests. Many insects are beneficial pollinators. Always follow directions when using pesticides and be especially careful near water and animals. In order to help protect beneficial insects, reduce or eliminate the use of insecticides and never apply when flowers are blooming. Many herbicides also kill aquatic species when runoff reaches streams or bodies of water. Fungicides kill not only parasitic fungal species but also beneficial fungi in the soil that plants depend upon. Never apply pesticides without first knowing your target pest species and considering potential unintended exposure. Control Runoff and Soil Erosion: Concrete sidewalks, streets, and driveways are unable to absorb rainfall. Runoff carries motor oil, fertilizers, and soil into storm drains and creeks. Reduce runoff by diverting downspouts onto grassed areas and using materials such as wood, bricks, or interlocking stones for patios and walkways. Control soil erosion by reseeding and mulching bare spots. Use Car Products Wisely: Motor oil, antifreeze and battery acid can create water pollution. Whenever possible recycle car products. Wash your car on the grass so water and detergents are absorbed. Reduce Emissions and Save Energy: Nitrogen oxides are emitted by burning fossil fuels. Car pool, and consolidate several small errands into one large trip. Turn off lights and lower the thermostat. Properly insulate your home.